Celebrating almost four decades of Cheek by Jowl work, our online archive features photographs, films, designs, interviews and a wide-range of other materials from our productions both past and present. We are able to share it with you thanks to the generosity of Sophie Hamilton. Sophie Hamilton, one of London’s most eminent lawyers, was a founder-Director of Cheek by Jowl and signed the first document that gave the company any legal existence in 1981. As our Chair she guided us through all the vicissitudes that face a fledgling company, and later all the vicissitudes that face an international company as well. She oversaw our growth with her distinctive brand of patience, humour, intelligence and profound empathy. Of her many qualities, perhaps her most outstanding was her generosity. It is such generosity that has allowed us to embark upon our archive project. The Sophie Hamilton Archive was created in November 2014 as an online resource hosting production and rehearsal photography, trailers, videos, films, interviews, prompt books, show reports, rehearsal scripts, costume and set design from all our productions. It is updated with each new production, providing audiences, artists, academics, teachers and students detailed insight into our production process and history. All material is the intellectual property of Cheek by Jowl unless otherwise stated. Use of any material on this website for purposes other than personal or educational is expressly forbidden. If you have any queries about the content of this archive, please feel free to contact us. The Winter’s Tale by William Shakespeare, full-length video recording of Cheek by Jowl’s 2016 production of The Winter’s Tale (professionally filmed with multiple cameras) in English with English subtitles (2hrs 25mins). Measure for Measure by William Shakespeare, full-length video recording of Cheek by Jowl’s 2015 production of Measure for Measure (professionally filmed with multiple cameras) in Russian with English subtitles (1hr 59mins). Périclès, Prince de Tyr by William Shakespeare, full-length recording of Cheek by Jowl’s 2018 production of Périclès, Prince de Tyr (professionally filmed with multiple cameras) in French with English subtitles (1hr 45mins). Cheek by Jowl cannot provide access to other films of our productions. However, archive recordings of the below productions are available to watch at the V&A’s Theatre and Performance Archive at Blythe House, London. You will need to make an appointment by contacting tmenquiries@vam.ac.uk. 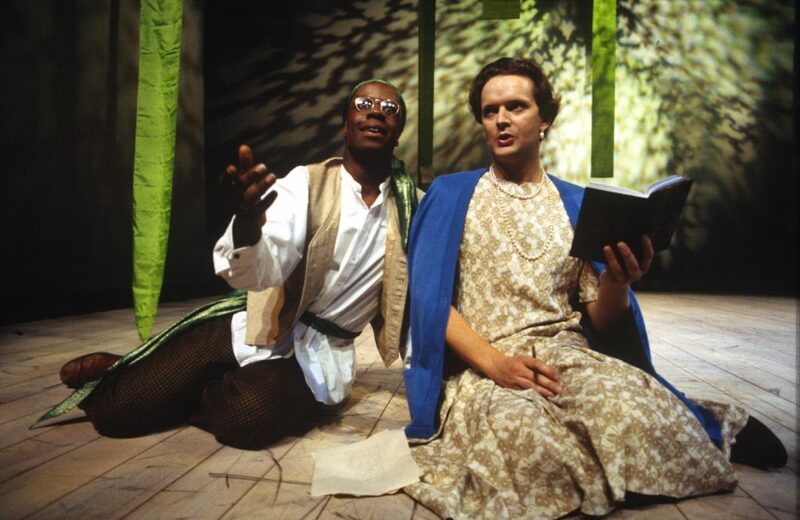 As You Like It by William Shakespeare, Albery Theatre, London, February 1995 (2hrs 55mins). The Duchess of Malfi by John Webster, Wyndham’s Theatre, London, January 1996 (2hrs 40mins). Much Ado About Nothing by William Shakespeare, Playhouse Theatre, London, July 1998 (2hrs 30mins). Homebody/Kabul by Tony Kushner, Young Vic Theatre, London, June 2002 (3hrs 16mins).